Back in 2002, Simon “Woody” Wood was dreaming up schemes to get free sneakers. Two weeks later, he was the proud owner of Sneaker Freaker and his life was never the same. From its early roots as a punk-style fanzine to today’s super-slick print and online operations, the fiercely independent publication has documented every collab, custom, limited edition, retro reissue, Quickstrike, Hyperstrike, and Tier Zero sneaker released over the last 15 years. 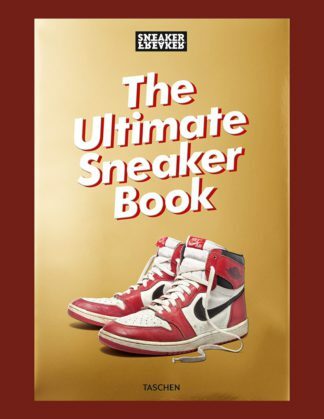 Woody’s original premise that Sneaker Freaker would be “funny and serious, meaningful and pointless at the same time” has certainly been vindicated in The Ultimate Sneaker Book. With more than 650 pages jam-packed with insider knowledge and his own irreverent observations, the insane historical detail and otaku-level minutiae is beyond obsessive. Traversing 100 years of history, each chapter paints a rollicking picture of the sneaker industry’s evolution. Air Max, Air Force, Adi Dassler, Converse, Kanye, Dapper Dan, Dee Brown, Michael Jordan, and Yeezy—along with obscure treasures like Troop, Airwalk, and Vision Street Wear—are all exhaustively documented.